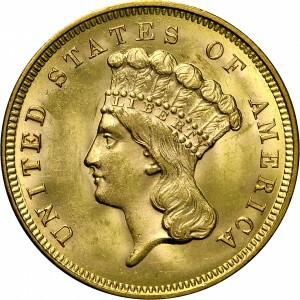 This piece is from a mintage of 14,000 coins, with most survivors considerably worn. 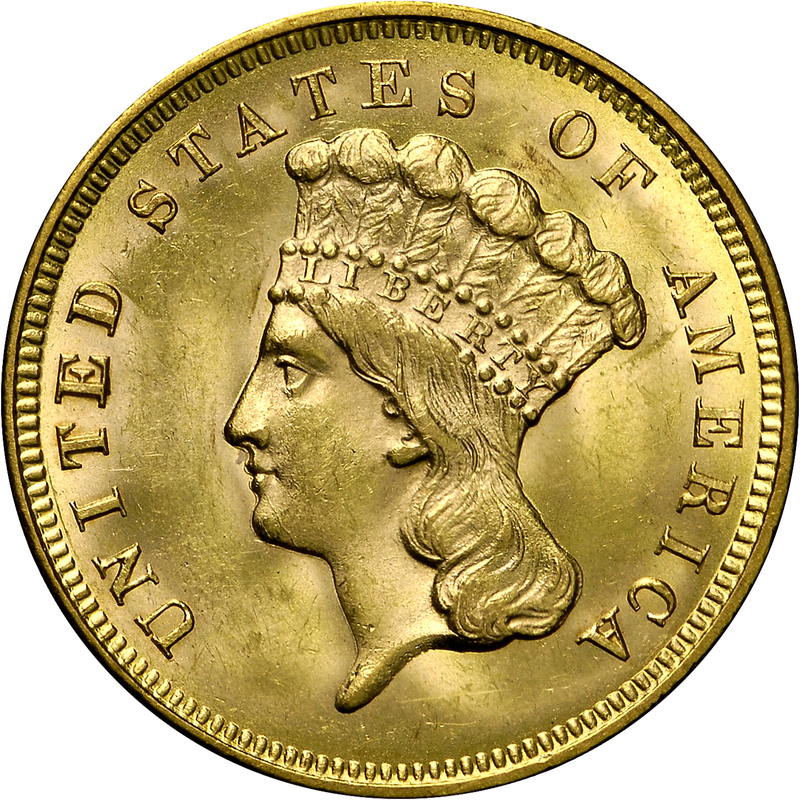 Just one variety is known with a large date and mintmark. 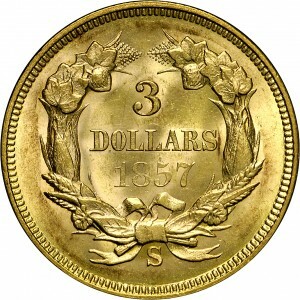 The mintmark is the same size found on 1855-S coins and one rare variety of 1856-S. From the quality viewpoint, this example is one of the finest known. We are only aware of one other Mint State example which may be slightly finer than this; however, both coins are nearly identical in quality. From RARCOA's session of Auction '85, July 1985, Lot 398. (adapted): "Obverse: Head firmly hubbed, most of J.B.L. visible. Reverse: New larger date numerals, taller than letters. Date slightly canted down. 5 centered over top of right bow loop. 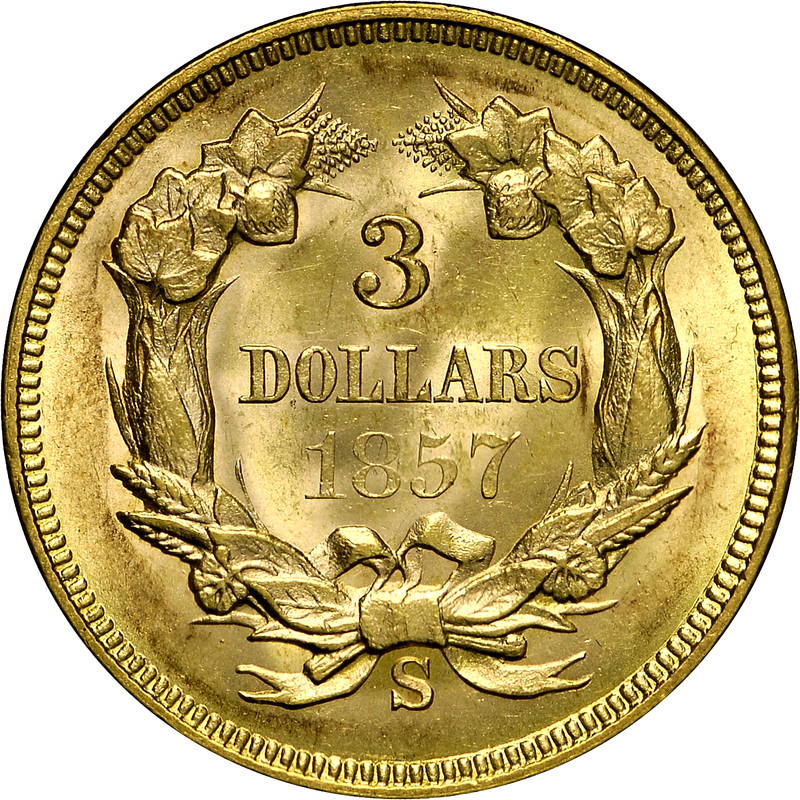 High large S mintmark, centered between ribbon ends."